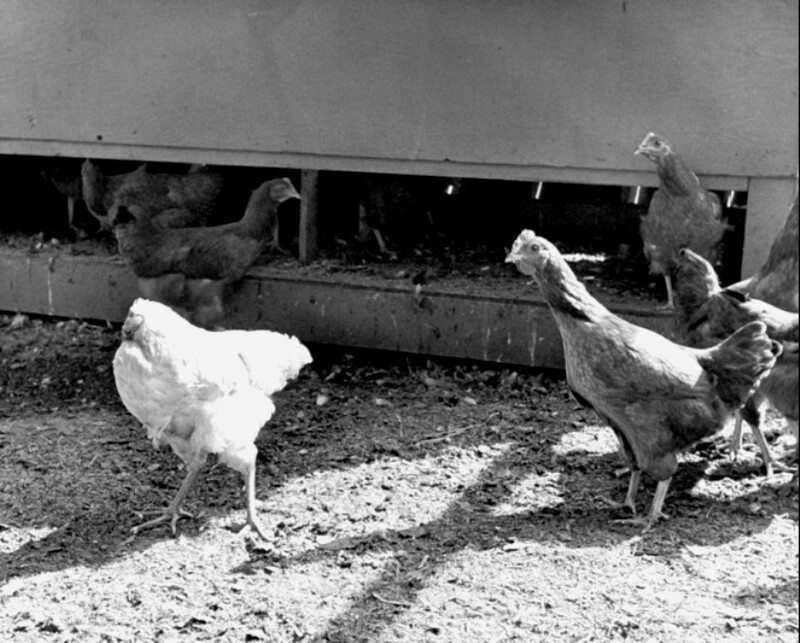 On September 10, 1945, Lloyd Olsen and his wife Clara were killing chickens on their farm in Fruita, Colorado. Olsen would decapitate the birds, his wife would clean them up. But one of the 40 or 50 animals that went under Olsen's hatchet that day didn't behave like the rest. "They got down to the end and had one who was still alive, up and walking around," says the couple's great-grandson, Troy Waters, himself a farmer in Fruita. The chicken kicked and ran, and didn't stop. "He took the chicken carcasses to town to sell them at the meat market," Waters says. "He took Mike with him - and back then he was still using the horse and wagon quite a bit. He threw it in the wagon, took the chicken in with him and started betting people beer or something that he had a live headless chicken." Word spread around Fruita about the miraculous headless bird. The local paper dispatched a reporter to interview Olsen, and two weeks later a sideshow promoter called Hope Wade travelled nearly 300 miles from Salt Lake City, Utah. He had a simple proposition: take the chicken on to the sideshow circuit - they could make some money. "Back then in the 1940s, they had a small farm and were struggling," Waters says. "Lloyd said, 'What the hell - we might as well.'" 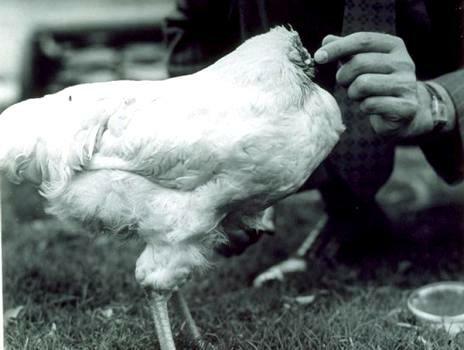 First they visited Salt Lake City and the University of Utah, where the chicken was put through a battery of tests. It was here that Life Magazine came to marvel over the story of Miracle Mike the Headless Chicken - as he had by now been branded by Hope Wade. Then Lloyd, Clara and Mike set off on a tour of the US. They went to California and Arizona, and Hope Wade took Mike on a tour of the south-eastern United States when the Olsens had to return to their farm to collect the harvest. The bird's travels were carefully documented by Clara in a scrapbook that is preserved in the Waters's gun safe today. 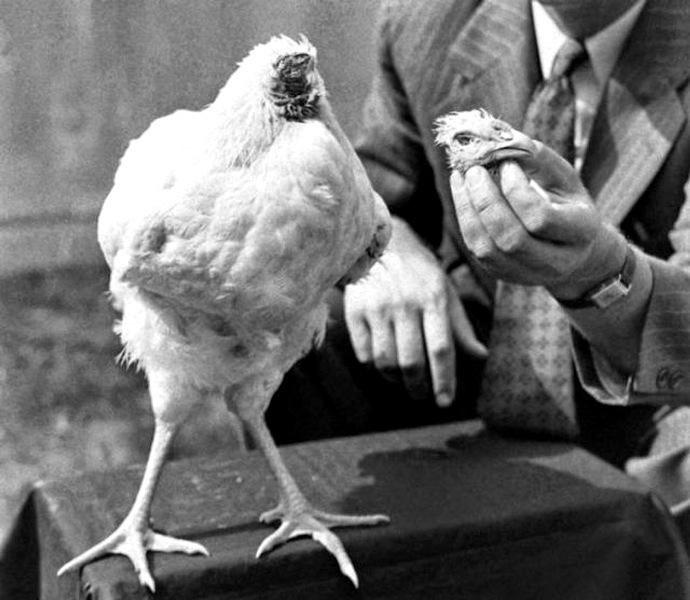 After the initial tour, the Olsens took Mike the Headless Chicken to Phoenix, Arizona, where disaster struck in the spring of 1947. "That's where it died - in Phoenix," Waters says. Part of the reason that a chicken can live without its head has to do with its skeletal anatomy, according to Dr. Wayne J. Kuenzel a poultry physiologist and neurobiologist at the University of Arkansas. The skull of a chicken contains two massive openings for the eyes that allow the brain to be shoved upwards into the skull at an angle of around 45 degrees. This means that while some of the brain may be sliced away, a very important part remains. 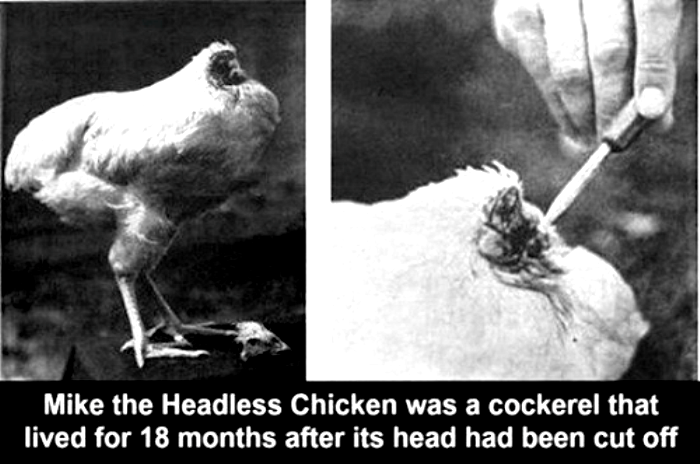 If the bird still has a bottom beak, the cerebellum and brain stem are likely still intact, which makes the chicken’s basic motor functions and ability to breathe quite likely. What this means is that, under very specific circumstances, you may end up with a lobotomized chicken on your hands. Alive, but missing quite a few parts of its brain. Mike's beak, face, eyes and an ear were removed with the hatchet blow. 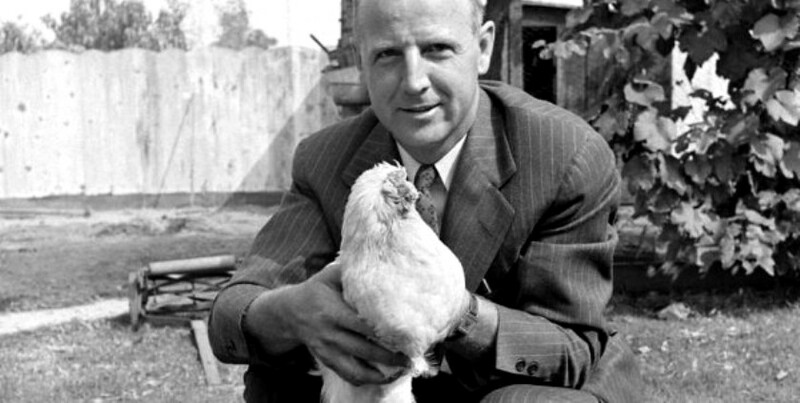 But Smulders estimates that up to 80% of his brain by mass - and almost everything that controls the chicken's body, including heart rate, breathing, hunger and digestion - remained untouched. Celebrate the 21st Annual Mike the Headless Chicken Festival May 31st and June 1st, 2019, in Fruita, Colorado. This festival is dedicated to the amazing story of one chicken’s will to live. Events such as a 5k run, disc golf tournament, wing and peep eating contests, live music, delicious food and artisan booths make this a weekend to remember.